The Sea Peoples are the term now used to refer to a grouping of peoples which the Bible seems to refer to collectively as the Philistines. Based largely around the southern coastal plain, these people, whose origins seem to be somewhere in the Aegean, were the perennial enemies of the Israelites in the biblical narrative. Evidence of their presence exists around the country and today’s trip was largely based on following their footsteps. We began close to home in Tel Aviv, inside the grounds of the Land of Israel museum, on what is known as Tel Qasile. 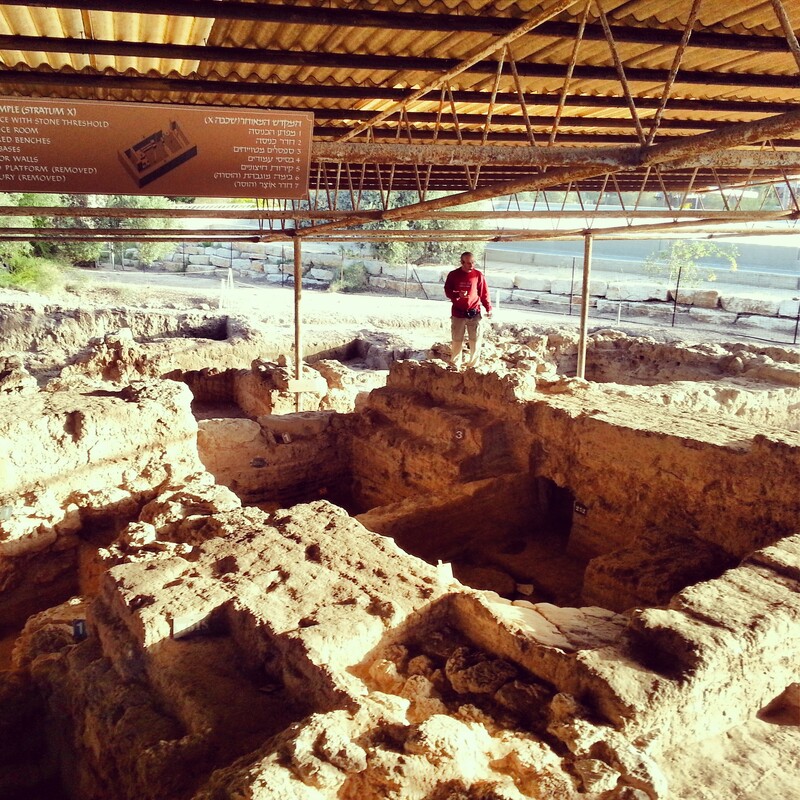 Situated along the Yarkon river, this seems to have been a Philistine city dating back to the 12th century BCE. Of even more interest, next to the Philistine settlement are a set of buildings with clear characteristics of the Israelite culture. It seems that these two cultures lived in very close proximity, if not together, for a brief period of time although the reasons for this remain a mystery. We drove north east to the area of Rosh Haayin, and the archaeological ruins of Izbet Sartah. There is not a huge amount to see at the site, but here was found a piece of pottery containing an ancient Hebrew writing exercise – some of the earliest Hebrew script ever found. It is now in the Israeli museum. 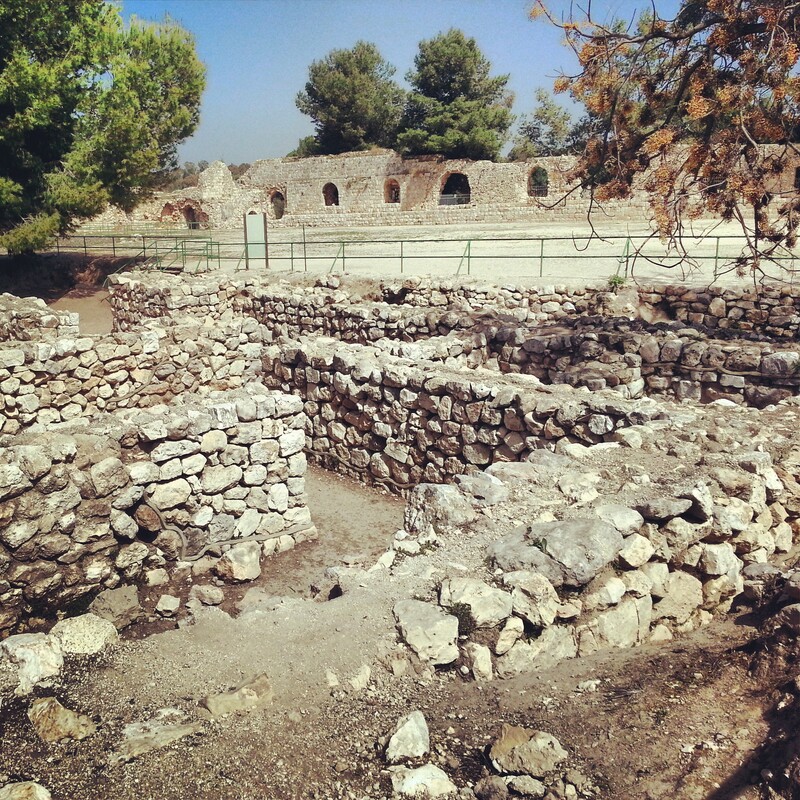 Izbet Zarta is identified as maybe being the site of biblical Even Haezer, site of a fateful battle between the Israelites and the Philistines as described in the book of Samuel. On defeating the Israelites, the Philistines capture the sacred Ark of the Covenant, causing a major existential crisis on the losing side. The location of the settlement near Tel Afek would seem to fit with the biblical description. We continued onwards to the nearby fortress known as Migdal Tzedek. 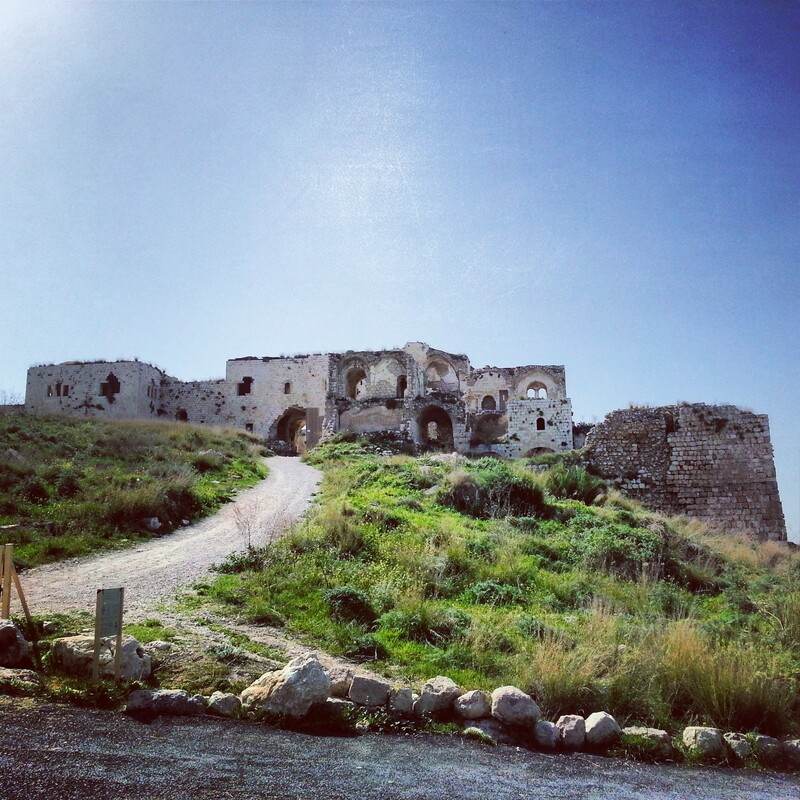 A large amount of the ruins are from the Ottoman period but its foundations are from Crusader times when it was known as Mirabel. The fortress is currently closed for repairs but should be reopened in the future for visits; meanwhile we enjoyed the commanding views of the area. From here, it was a short journey to Tel Afek, also known as Antipatris. This beautiful national park houses the remains of a settlement dating back to the Canaanite period, occupying a key strategic position on the ancient Sea Road. We explored the ruins through the different periods of history, including a very nice set of roman ruins from the time it was established as Antipatris by Herod (who named it after his father, Antipater). 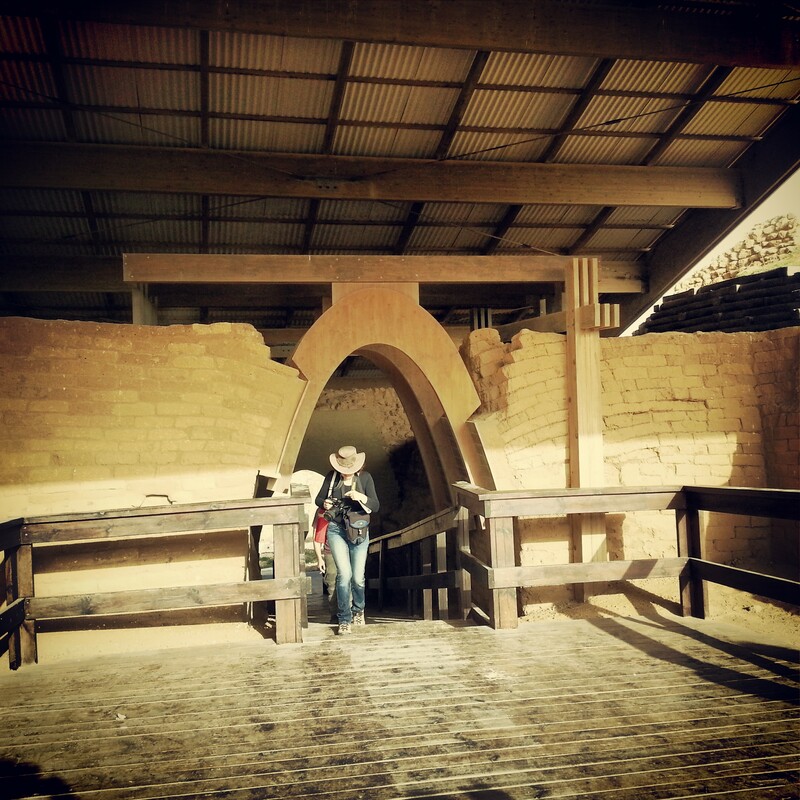 We also learned about the plethora of springs in the area, which the British harnessed to supply Jerusalem with water, and the Israelis later extended to provide the first piped water into the Negev desert. From Tel Afek, it was time to journey south along the route of the ancient Sea Road (pointing out various ancient settlements on the way) before arriving at the southern coastal city of Ashkelon. 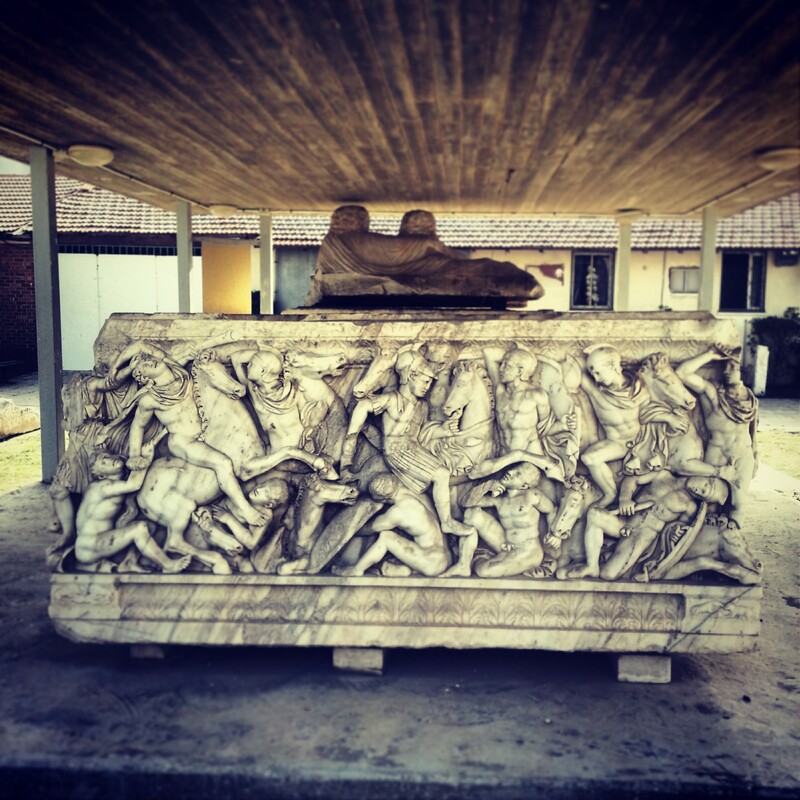 After a brief stop to visit some really rather impressive sarcophagi discovered from the Roman period, we ventured towards ancient Ashkelon, in the form of the tel. The bible names Ashkelon as one of the main Philistine towns, and the remains of the fortifications from this time are very impressive, including the second most ancient archway in the world (after Tel Dan)! The Ashkelon national park also contains impressive ruins from the Roman and Crusader periods; it seems there is still a great deal of excavating to be done and no doubt more exciting finds are to come in the coming years. We concluded the day slightly further north on a hill known as ‘Jonah’s Hill’, due to a tradition that the prophet Jonah had been buried there. 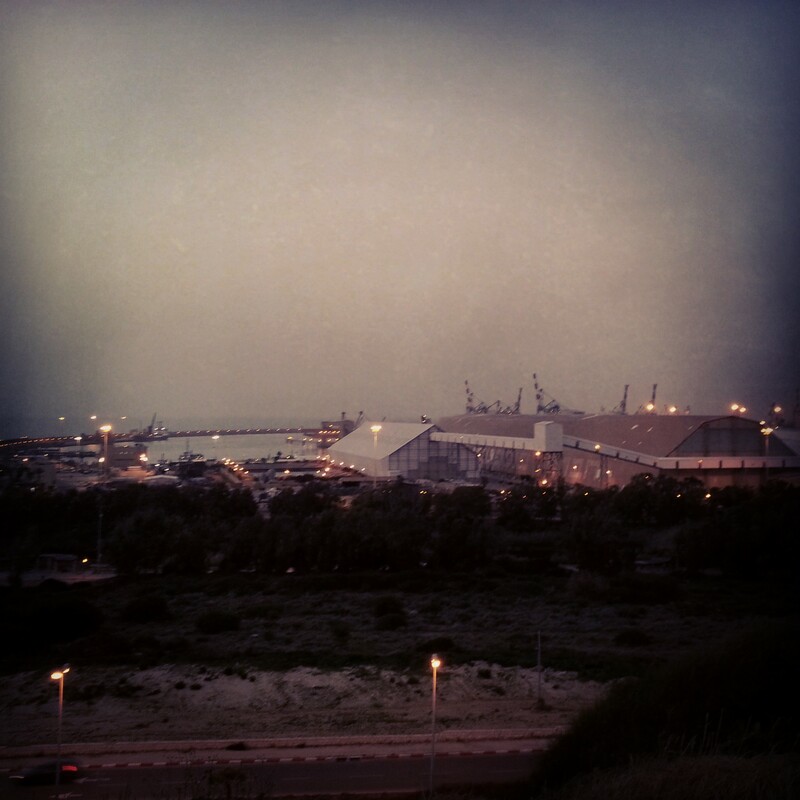 We had a nice view over the twinkling lights of the Ashdod port, and heard the story of the nearby Tel Mor which seems to have been an industrial centre for the manufacture of clothing dye in the Hellenist period. As always, with the sun setting, it was time to return reluctantly to Tel Aviv. Next week our adventures shall resume!